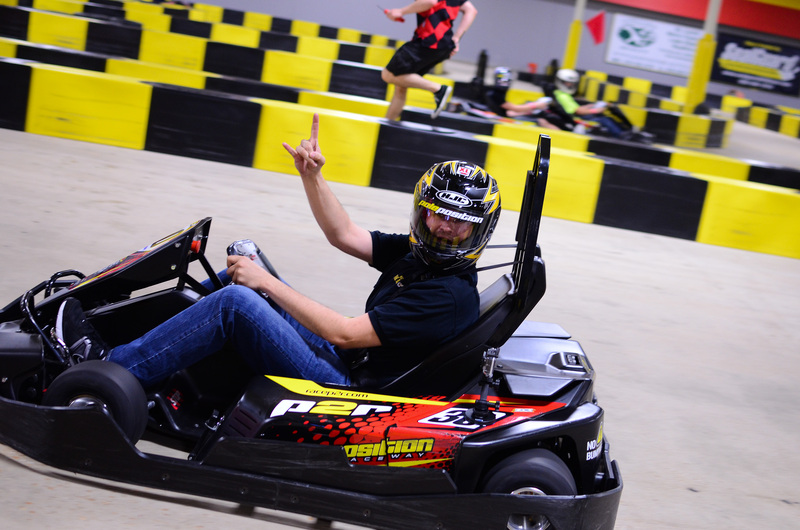 Pole Position Raceway is open 7 days a week to the public and offers open racing daily on a first-come, first serve basis. Visit our calendar page or call us at 314-925-7545 to ensure the track is not scheduled for a reserved group event and therefore closed to the public. All racers must be at least 6 years old and a minimum of 50" tall. If your child is between the 48"-49" mark, we recommend bringing your child in to get seated in a kart to see if they can safely reach the pedals. We do not have double-seater karts, so every racer must drive their own kart. Some kids are more legs, and some kids are more torso. All racers must have close toed shoes. Looking for Gift Cards? Click Here! License includes head sock, helmet, online app & scoring as well as waiver on file. Includes free race the month of Birthday. All race prices are per person & non-transferable. Pole Position Raceway is pleased to offer first responders, active military, veterans and retirees, national guard and reserves of our Armed Forces a 10% discount everyday on individual purchases. Show your valid Military ID at checkout. Discount cannot be applied to group events. *All applicable taxes not included.